This acrylic tombstone is made of .75" thick acrylic and is designed to stand on its own. 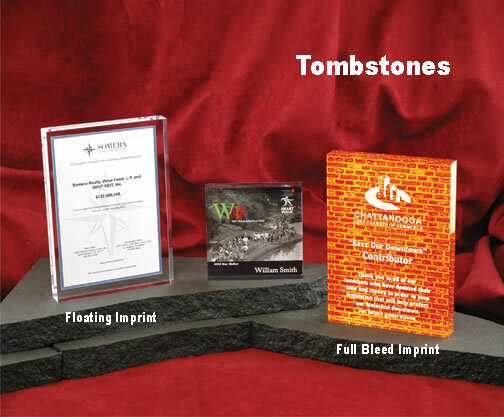 These tombstones feature our signature Tru-Color process for stunning tonal depth and range. Laser engraving on the front is an option for an additional cost. Contact the factory for pricing. Please see Setup and Artwork page for more information.